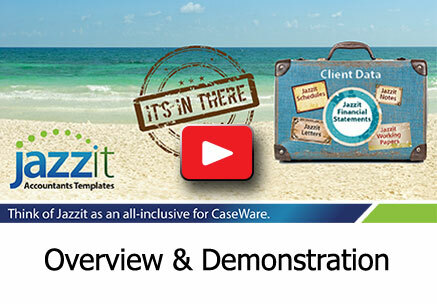 So ... you've made the decision to take advantage of Jazzit templates (wise choice!) and are wondering how to get started. FIRST, have a look at our YouTube overview video. 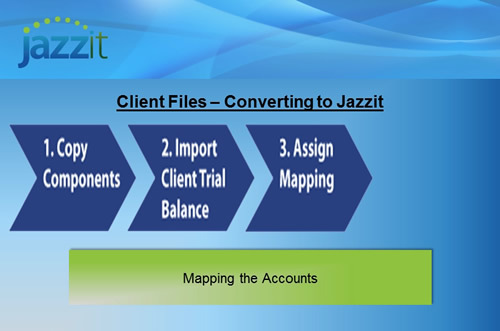 This breaks down the main components of Jazzit. In the information we send you after you purchase Jazzit, you'll receive an email with links to Jazzit install executable files (refer to the email instructions to install). There are 3 steps in creating a client file. 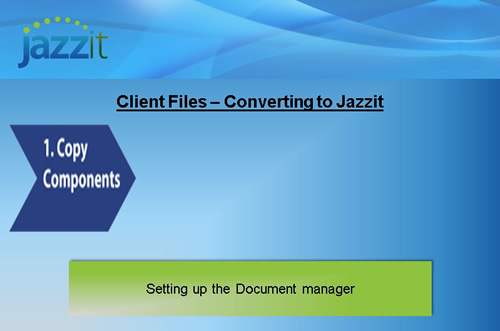 This process needs to be done only once for each client as you transition your file to Jazzit templates. 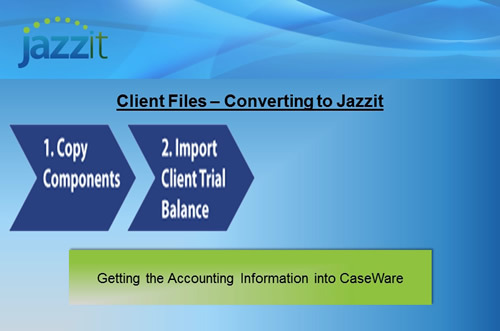 In subsequent years, Jazzit rolls forward the ending balances to become next year’s opening balances. Use CaseWare’s “Copy Components” function to copy the desired Jazzit templates and mapping structure into your client files. We provide the master files to copy from. Import the client's accounting data into your CaseWare trial balance and engagement properties. The Jazzit templates will then pull information into the working papers, letters, and financial statements based on the assigned map numbers in Step 3. Jazzit uses a simplified mapping chart. Our mapping structure helps to reduce the time to map the accounts and provides feedback regarding which GIFI code is being assigned to your accounts (to be exported to your T2). 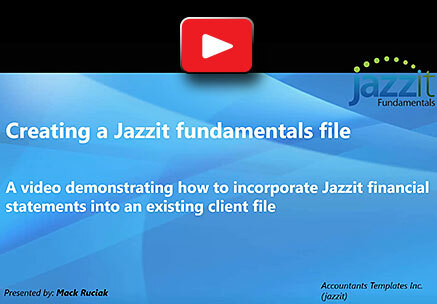 This short video will show you how you can quickly add Jazzit financial statements to your existing CaseWare client files. 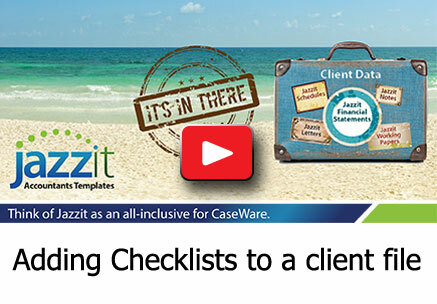 This short video will show you how you can quickly add Jazzit checklists to your existing CaseWare client files.